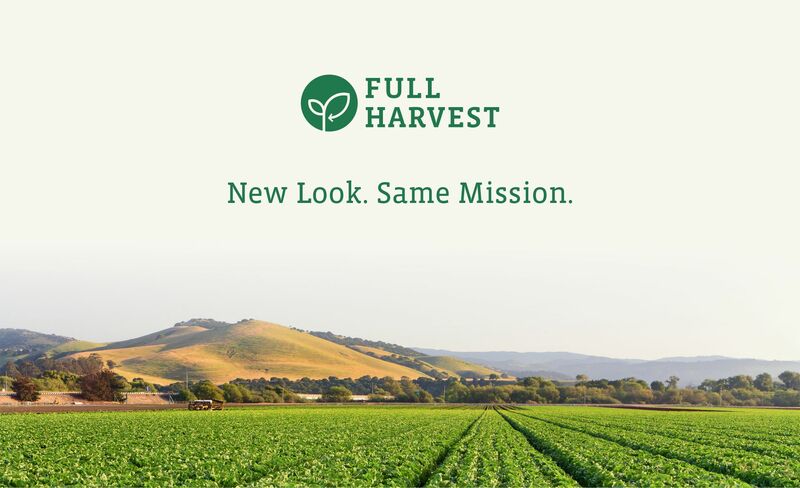 San Francisco, CA: Full Harvest announces today our new company identity and brand refresh. The new branding reflects our company growth as well as our dedication to solving food waste. “I am excited to have created a more mature and current look and feel. We have grown a lot since our early days, having now sold millions of pounds of produce that would have otherwise gone to waste. Now that we are working with major food and beverage companies, we wanted a logo that could become an industry mark and depicts our sustainability mission,” said founder Christine Moseley. The new Full Harvest website reinforces our vision and illustrates our core values as a company. Users of our marketplace will see the new design aesthetic go into effect today and will continue to enjoy the ease of the platform. Full Harvest selected Hungry Studio, headquartered in New York, to partner with on the relaunch journey. “We loved working with such a passionate design team with expertise in the food space to develop the brand vision of the company,” said Christine. Our team is excited to begin 2018 with a fresh new look ahead.